Uplogix can be deployed in a variety of ways depending on your existing infrastructure and network management needs. We have two hardware versions of our purpose-built Local Managers, the Uplogix 5000 and Uplogix 500. Each provides a local platform for running the Uplogix Local Management Software (LMS), and share features like an option slot for internal modems, dual management Ethernet ports and on-board storage. 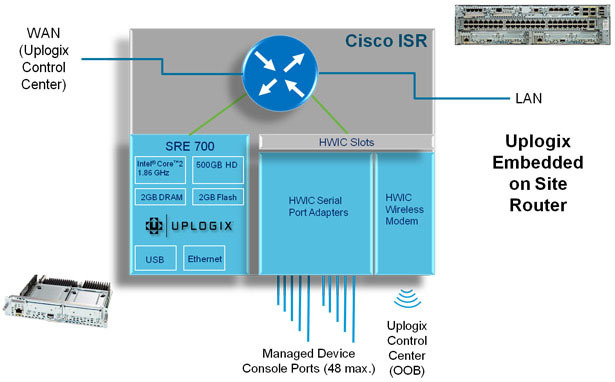 The Uplogix LMS has also been virtualized, and can be run as a VM letting you take advantage of an existing investment in extensible Cisco Integrated Services Routers with support for SRE Modules and HWIC serial port adapters, or on a local server with connections to devices through a console server. Uplogix’ flagship Local Manager, the Uplogix 5000 is available in models that can manage 6–38 devices including a managed power supply. The Uplogix 5000 is a scalable and robust out-of-band platform for enterprises that need to manage an ever-growing infrastructure of distributed networking gear, servers and other IT devices located at remote sites, branch locations and data centers. The Uplogix 500 is a full featured, compact and cost effective Local Manager capable of managing six network devices including a managed power supply. This smaller version of the Uplogix 5000 is well suited for deployments that have physical space limitations, or in non–racked environments. It is ideal for branch offices and remote applications where space is at a premium. 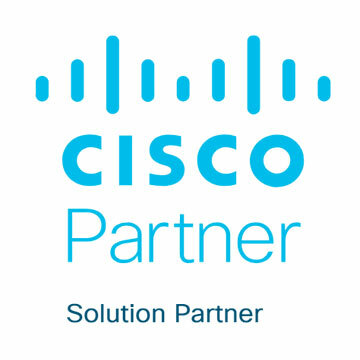 Take advantage of your investment in extensible Cisco Integrated Services Routers with support for SRE Modules (SRE 710 or SRE 910) to utilize Uplogix to locally manage configuration, security & compliance, and performance & availability. Automate many tasks normally requiring an onsite technician and get secure out-of-band access to devices when they require human attention. Virtual Local Managers can be used in the same deployment with physical Local Managers, potentially allowing customers to save money by using hardware they already have and use standard hardware from preferred vendors. It also creates the opportunity to deploy on special purpose platforms such as WAN acceleration appliances or other devices that run VMware. Deployed in the NOC, the Uplogix Control Center delivers real-time monitoring and management capabilities, offering a unified view of what’s occurring in your distributed infrastructure. As an element manager for Uplogix Local Managers, the Control Center also serves as the gateway between the Local Managers in the network and existing IT management systems. 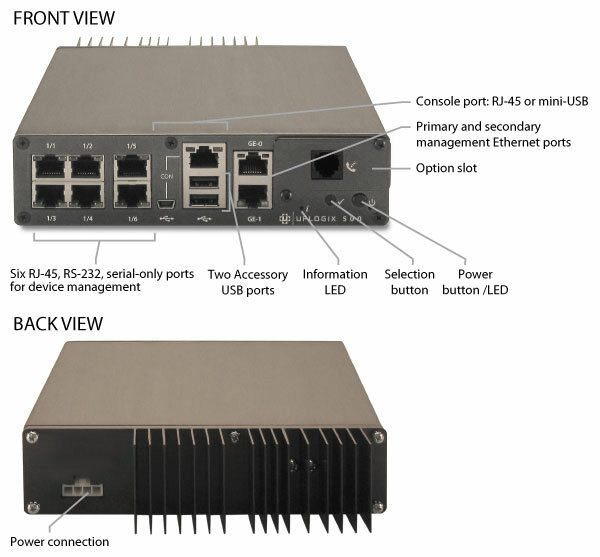 Up to 38 Serial Ports (RS-232) for direct connection to managed devices (If unused, external modem port may also be used for managed device access). Up to 8 dedicated 10/100/1000 Mbps Ethernet connections. Install either a 1000Base SX (GLC-SX-MM) SFP or the 1000Base LX/LH (GLC-LH-SM) SFP for fiber connectivity. Both the 1000Base SX (GLC-SX-MM) SFP and the 1000Base LX/LH (GLC-LH-SM) SFP are customer-provided equipment. 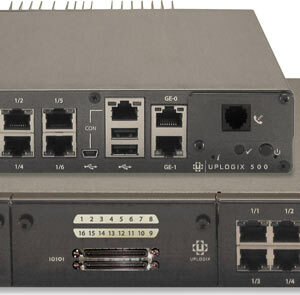 Uplogix FIPS 5000 Local Manager chassis with 6 serial ports. Includes FIPS software, Opal self-encrypting drives, tamper evident labels (TELs). Available in all configurations of serial and Ethernet expansion modules. Uplogix 5000 DC power chassis. Available in all configurations of serial and Ethernet expansion modules. Use in pairs with the 16-port Serial Expansion Module. Available in 1M and 3M lengths. LEO-500I Satellite Modem Kit, Includes Iridium 9523, Above and Below Deck Units, power supply and power cords. 500-foot maximum distance between BDU and ADU. Helix cone Iridium and GPS antennas are included with 10-foot cables and right-angle mounts. Antennas can be mounted up to 50-feet away from ADU with customer-provided cable. Uplogix FIPS 500 Local Manager chassis with 6 serial ports. Includes FIPS software, Opal SSC self-encrypting drives, tamper evident labels (TELs). 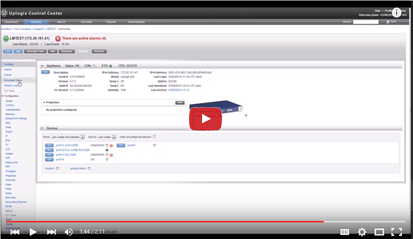 Uplogix uses the Cisco Unified Computing System Express as a hosting environment to embed on Cisco ISRs, making the router a full featured Uplogix Local Manager. 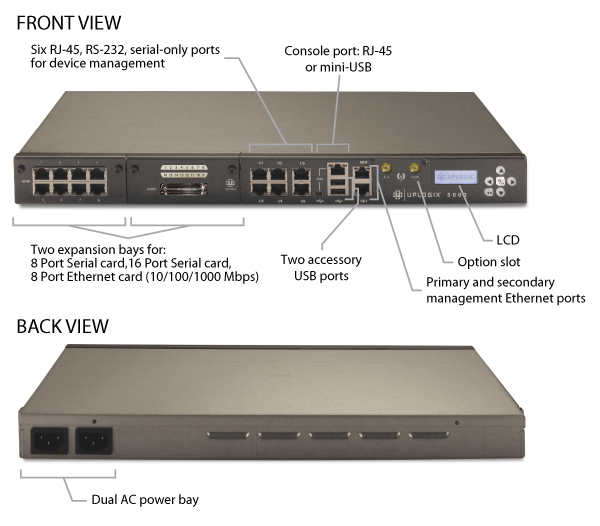 The ISR is configured with HWIC serial port cards to allow serial port connections to up to 48 managed devices. An HWIC wireless modem is used for out-of-band access. While the Uplogix Local Management Software (LMS) was originally developed for use on the Local Managers, it is also available packaged as a virtual machine. Virtual Local Managers can be mixed and matched in the same deployment with Uplogix Local Managers. This creates the opportunity for tremendous flexibility in the way that customers create Local Managers for use in their Uplogix deployment. Customers can save money by using hardware they already have or by consolidating servers. This also allows customers to use standard hardware from preferred vendors. In addition, this creates the opportunity for deployment on special purpose platforms such as WAN acceleration appliances or other specialized devices that run VMware. The Uplogix Control Center provides a centralized point of control and configuration for all of your Uplogix Local Managers, enterprise reporting, and serving as a consolidated point of integration for centralized management systems. In a standard deployment the UCC is delivered as hardware/software solution, but with the Virtual UCC, customers can use any hardware platform that meets system prerequisites with a VMware hypervisor. 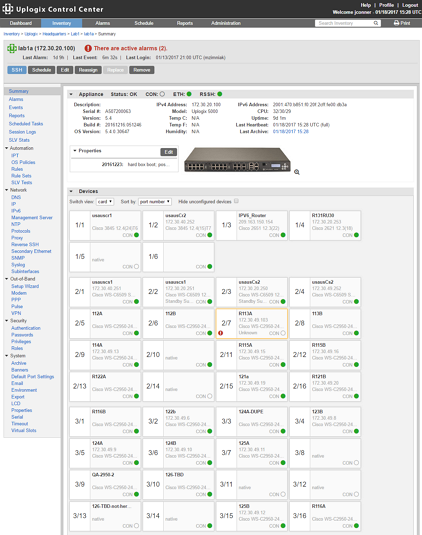 Uplogix LMS is installed on a virtual server connected via an Ethernet cable to a Console Server in order to provide LMS with network-independent console port connections to one or more managed devices. This configuration creates a fully functional Uplogix Local Manager. This option is ideal when console servers are already in place and available for use. Uplogix LMS is installed on a virtual server accessing managed devices over the Local Area Network via virtual console ports. When a server is available this approach requires no physical changes at the site where managed devices reside, while delivering much of the functionality of a full Local Manager. This solution offers a fast, easy, cost effective way to gain the benefits of out-of-band management for many applications, but may not be suitable for all scenarios. The Uplogix Control Center enables out-of-band management by providing a centralized point of control for all Uplogix Local Managers and through this, of managed devices deployed throughout your distributed IT environment. With its web-based graphical user interface (GUI), Control Center puts IT administrators in control of real-time data to easily manage, configure, and control all network devices and servers connected to Uplogix Local Managers. Uplogix Control Center is deployed on a pre-configured, dual CPU, rack-mountable server, and includes an embedded Oracle database engine. It is also available as a VM to run on a customer-provider server. Consult with Uplogix Professional Services for minimum requirements for a UCC VM installation. Single interface for centralized management | Consistent, enterprise-wide point of control for configuring administrative policies for and scheduling all maintenance, management, configuration, and recovery tasks performed by Uplogix Local Managers. Simple point-and-click interface for executing enterprise-wide management tasks, such as distributing patches, resetting passwords or performing configuration changes. Seamless Integration with centralized systems and network management consoles | Serves as a point of integration with other management systems and solutions; alarms and events appear as if they came from the managed device itself. Persistent Connectivity | Serves as a central proxy for seamless in-band or out-of-band communication with Uplogix Local Managers. In this Uplogix Support Short, see how to set re-occurring jobs and tasks using the Uplogix Control Center. For details, see the Virtual Control Center Deployment Guide.